This section includes steel-framed awning systems and fabric structures utilizing the European “Staple-In” method of attaching covers. A field survey shall be made prior to fabrication to ensure coordination with adjacent trades and fit of work. Shop Drawings showing awnings in elevation, plan and section. All frame dimensions, including overall dimensions, module dimensions and fabric panel dimensions. Samples to be made available on request. Provide color sample cards showing full range of available colors and/or 8-in. by 8-in. samples of specific fabric for final color selection. Steel frames and fabric attachment against defective material and workmanship for a period of five (5) years. Labor to replace defective fabric shall be guaranteed for one (1) year. 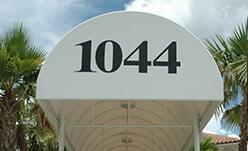 Awning installation shall be warranteed for one (1) year. Fabrics shall be warranted under the fabric manufacturer’s warranty policy for a minimum of five (5) years. 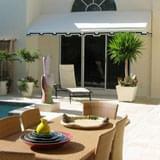 Upon installation, awnings are to be clean and free of any substance that might discolor or damage surfaces. Written cleaning instructions are to be made available from the fabric manufacturer. Damaged fabric panels should be replaceable individually, on the job-site. Frame to be constructed using staple-in tubing where required for attachment of fabric covers. All other frame members to be like materials as approved by the engineer of record. Frame members shall be sized to withstand regional code requirements including live loads, dead loads, and super-imposed loads as approved by the engineer of record. Fasteners shall be non-corrosive, and non-staining. This includes all anchors, bolts, shims and accessory items. *Note: Insert text from either GatorStitch Frame Finish option 1: Factory Finish or option 2: Enamel Paint Finish here. 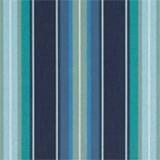 Fabric style and color to be selected by specifier. *NOTE: Select fabric option by name and insert here. 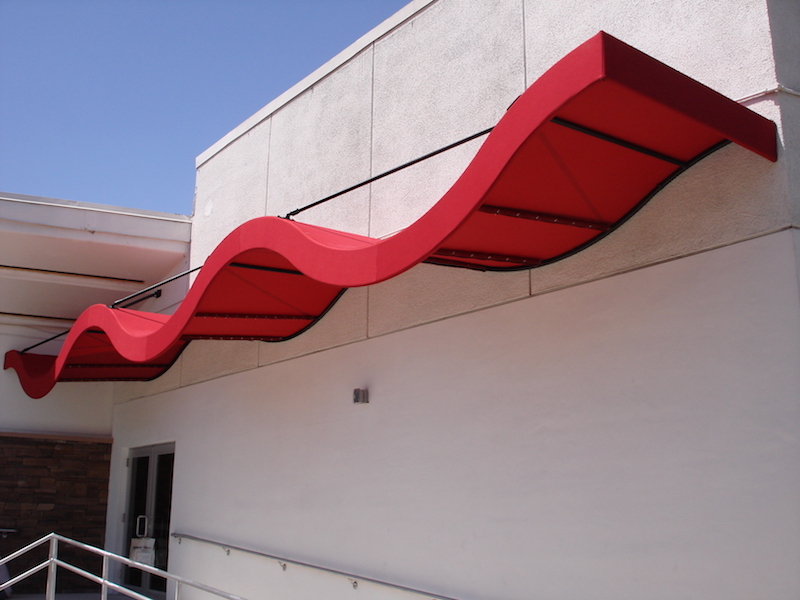 For awnings to be covered with Sunbrella, or similar, soft textured canvas fabric, use like material spline as approved by the fabric manufacturer. Staples to be 18-gauge galvanized or stainless steel 3/8-in. or 1/2-in. long with 5/16-in. width crown. All framing members are to be joined by welding. Each member is to be cut to an appropriate miter that provides a tight, clean fit. All frame joints or connections to be fully welded. Welds that interface with fabric panels are to be ground smooth and de-burred so that no sharp edges come in contact with the fabric. All other welds are to be brushed thoroughly to remove all deleterious materials before applying shop primer. Other equal having minimum zinc makeup of 92%. Apply a finish coat of color-matched paint to welds if entire frame will not be painted (See “FRAME FINISH” for specification on painting of entire frame if applicable). Finished frame modules shall be sized so that they can be transported in accordance with all national & regional transportation regulations. Fabric is to be installed by stapling into the channeled members. Staples should penetrate and hold through aluminum staple web. Staples are to be galvanized steel or stainless steel and are to be 3/8-in. to 1/2-in. in length. Fabric shall be attached to aluminum frame members with steel staples placed at a maximum spacing of 1-1/4″. Fabric is to be applied tight and is to be free of wrinkles, sagging, puckers and punctures. All panels are to be equal in tension and quality. All PVC trims are to be trimmed at junctions to provide a clean, attractive fit. Lights (if applicable) are to be installed in such a way as to provide even lighting of fabric panels, with no dark spots. Frames shall be built so that all backlit graphic panels are shadow-free. Awning(s) will be installed in position(s) indicated by shop drawings, securely connected to supports. Number and size of fasteners shall be sufficient to meet required loads.